Previous Clubs: SM Caen, Solidarite. International: France 8 caps 2 goals. Trophies Won: 2016-17 French Ligue 1 Champion. 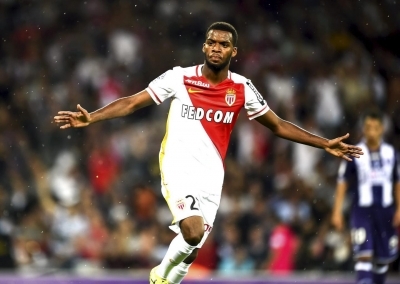 Lemar is still a youngster making a name for himself, but he has impressed enough for Monaco to slap a huge price tag on his head last summer. A price big enough to beat the previous season's world record fee paid by Manchester United to Juventus for Paul Pogba! Like Pogba, Lemar is a lot of potential and, at the age of just 21, he still has a lot to learn. Like his France teammate, Lemar has genuine quality and skill on the ball but has a bit to learn still off it. The defensive side of the game is the weak part of Lemar's game, though how much of that is down to Monaco's style of play is open to interpretation. With Leonardo Jardim favouring a very attacking style of play, it does see Lemar caught upfield a fair bit, particularly in his favoured wide left position. Perhaps things would be different in another team, as Lemar does not show a lack of willingness to work back, just lacks the awareness to realise he should be getting back early enough. It tends to be a case of chasing back, when he should have been anticipating the danger. On the ball he is smooth and skilful, usually employed in a left wing/midfield role with license to get forward. Lemar is more of a creator than a goalscorer, looking for the pass more often than the shot. Whether that is because they have quality up front in Falcao et all and so he has no need to get in the box or if it is just the way he likes to play it is difficult to say. He does have a good shot on him when he chooses to use it, so he could probably add more goals to his game very easily if the team needed him to. Quick enough to cause problems with his pace, but not so quick as to become purely reliant on that pace, Lemar has the potential to be among the top players in world football, though not the very top rank. He will have to work on his consistency, in certain games last season he was completely ineffective and tried too hard to make things happen, resulting in repeated turnovers of the ball. Experience will hopefully help him to fix that problem over time.